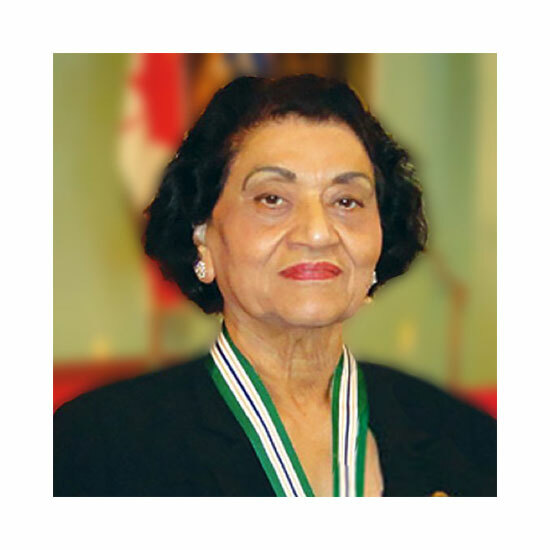 Baljit Sethi, Order of BC - advocate for immigrants and for equality. Mrs. Baljit Sethi has dedicated her life to helping immigrants to Canada and pursuing equality and justice for all Canadians. She was born in Lahore, India. She immigrated to Canada in 1972. Before coming to Canada, she was a Senior Instructor Counsellor in a reputed community college in India. In 1974, she began working with the Immigrant Services Society of British Columbia as a family counsellor and then as a Settlement Counsellor, assisting newcomers to Canada with settlement services. In 1976 she founded the Immigrants Services Society of Prince George, now known as the Immigrant & Multicultural Services Society (IMSS). Through her work with IMSS she soon realized that newcomers’ integration into the community could not be achieved without multicultural programs and the promotion of racial harmony. She encouraged interaction of immigrants with the host community and was instrumental in promoting multiculturalism in Prince George, thereby benefiting the entire northern British Columbia region. Scores of multicultural and anti-racism projects which were designed by Baljit Sethi and delivered under her guidance are still being delivered today. multiculturalism, Baljit Sethi has changed the community’s outlook. An artist in her own right (author, painter and performing artist since before leaving India), she is also an activist and advocate for immigrant women and has become a source of inspiration to them and to the community at large. Mrs. Sethi has dedicated herself to improving the quality of life in Prince George by providing extraordinary care, helping immigrants and refugees, and advancing women’s equality. She has been an inspiration to many people in Prince George, across Canada and even internationally.